Choose from a variety of relaxation and therapeutic massage styles provided in our relaxing and centrally located Mississauga location. 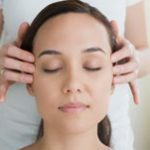 Our massages are performed by experienced and trained massage therapists and help to sooth sore muscles, relax stressed muscles and rejuvenate you from a stressful and long week. An indulgent experience of stress relief using aromatherapy plant oils. The properties in essential oils penetrate the body to restore health and well-being. Common ailments that can be treated include stress, anxiety, headaches, fluid retention, poor circulation and fatigue. There is nothing new when it comes to the benefits and the effects of heat therapy. It’s been time-tested and true. 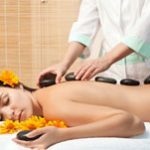 Thermal Palms® are a great alternative to hot stone massage. 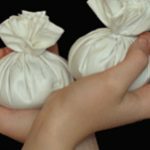 They are specially crafted soft hand held modalities that mould to the contours of the body while delivering deep penetrating heat to the muscles and joints during massage. Muscular tension subsides and full body relaxation is achieved. Based on the Ayurvedic Healing, experience the power of a calming, revitalizing and de-stressing spa treatment leaving you in a euphoric state. A gentle, natural way to reduce discomforts associated with pregnancy including back and neck pain, leg cramps, swelling and fatigue. All contraindications are considered for this pre-natal and postnatal treatment. Available after the first trimester only. An ancient Chinese healing technique designed to balance the chakras, promoting energy and overall well-being. Feet are gently cleansed, followed by a pressure-point finger massage. Based on the principle that pressure points on the feet are linked energetically with the organs in the body. A relaxing experience to enjoy with your partner in a private double room. Each of you will have your own personal therapist. Indulge in a therapeutic or aromatherapy massage. A speciality massage that uses heated stones.this massage helps to soothe and relax the muscles.